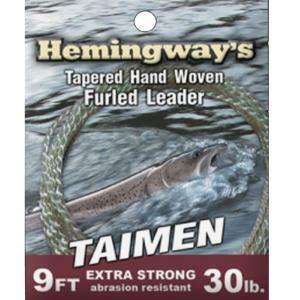 Hemingway Taiman Furled Leader, an extra strong, abrasion resistance leader for Big Game fishing. Material premium quality nylon Line weight 9 -12 wt. Length 9 ft. Tippet 30 lb. line. 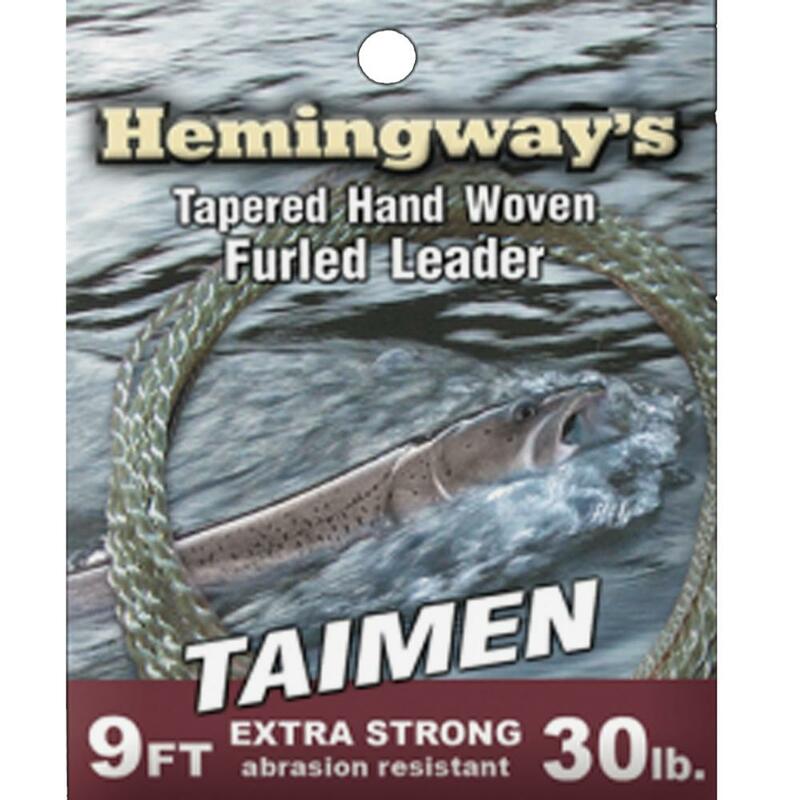 Hemingway Taiman Furled Leader, from the huge range of Hemingway Fly Fishing Products. This should be justt the thing.